Greetings! Thanks for stopping by the home of the Marketing Nut! My goal is to inspire you in business and life! My name is Pam Moore. I am the CEO and Founder of Marketing Nutz, LLC an experiential social brand, reputation management and digital marketing agency. I am a social media and marketing speaker, author, coach, trainer and consultant. I help business leaders find their passion and use it to inspire and connect with target audiences to nurture authentic customer relationships with relevant communications and innovative, integrated marketing tactics that fuel business growth and sustainability. With more than 15 years experience in high tech and marketing I am eager to help your business zoom. I am often called upon by companies large and small to help them with their marketing startegies and tactics and how to best integrate and maximize social media. I work with all budgets and can customize engagements to meet your requirements and budget. Some of our specialties include social media and marketing for realtors, home builders, small business, entrepreneurs up to Fortune 500 corporations. We love to help take your idea and help you turn it into something incredible that can change your life forever! I would love to speak at your corporate event, fundraiser or team training. I develop and execute custom speaking and training plans to get your business zoomin quick! Time is your greatest asset in social media so don't waste time in having each of your employees learn it the hard way. I can help them filter thru the buckets of information on the internet and get to what is really going to drive positive ROI in a very short time frame. We can help you take the guess work out and find the zoom cut (aka shortcut) to success. I am the author of two best-selling books. 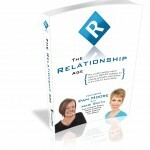 One of which includes co-authoring the “Social Media Relationship Age” book with Mari Smith. The second is an Entrepreneur Book, Game Changers focused on entrepreneurial best practices and success tips. I am also frequently published on Social Media Today, and Business to Community as both of which are in the top social media news and information sites of today! With 30+ years of combined experience, my co-founder Josh Moore & I provide expert knowledge in developing and executing winning integrated marketing, brand, social media and go-to market plans. Our experience includes small start-ups to large Fortune 500 companies, budgets teeny tiny to big in both B2B and B2C markets. Industries of expertise include high technology, enterprise data storage, professional services and storage management, natural lighting, database analytics & modeling, online marketing, as well as web 2.0 ecommerce for top 100 online retailers. We won't hold back in sharing our opinion, sometimes even if you don't want to hear it. If it comes down to helping you avoid a bad decision that will cost you money or brand equity, we aren't afraid of hurting your feelings. We know in the end you'll thank us. Do we have social media expertise? hmmm… check out our profiles on Twitter, Facebook, LinkedIn or do a simple search on Google for Marketing Nutz, PamMktgNut, Pam Marketing Nut, or Tampa Social Media Agency. You can even do a more generic search for Social Media Agency, Social Media Relationship, Social Media Content, or even Social Media Authenticity on YouTube and I think you'll be positively inspired how we rank. Bottom line we know how to do more than just make your site look good. We know how to build a brand and a business. We can help you build a community that follows you, tweets with you and buys from you because they want to. Shouldn't be a surprise since we have been building communities and using social media before it was called social media. Because of our experience we bring more to your business than the latest trends in social media. We know what makes business work. We know how to build and execute integrated marketing plans. We know what ROI is and how to help you leverage the right marketing and new media strategies and tactics to drive a positive ROI across your entire portfolio of offerings. We won't push the latest fad or technology on you just because it's cool. We'll help you make the decision where you invest your time and money with a goal of spending less of both! Yes, we do social media consulting but we are not per se “social media consultants”! We are much more. We are backed by a network of smart partner relationships and investors built on years of trust and success. You can tap into a full suite of digital marketing, brand and social media services at a lower cost. Large agency services at a boutique price and service. Contact us today for a free quote. Let's start helping your business bear FRUiT!